Dietary habits are changing and the demand for organic food is rising year on year. Consumers want to eat organic products not just in the home, but also when they dine out. 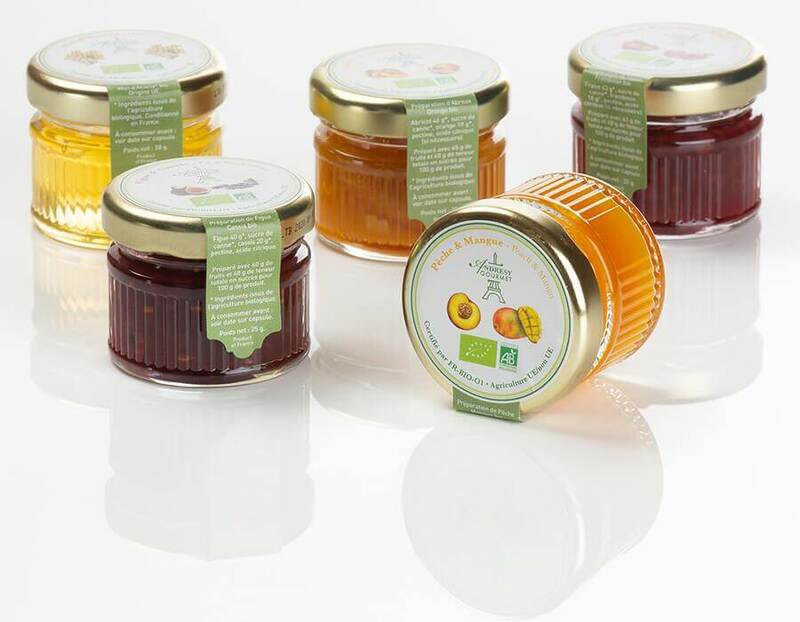 To meet these expectations, Andrésy Confitures’s organic jams can now be found on the breakfast tables of major hotels and on the shelves of delicatessens. Consumers who want to be better informed and receive assurances about what they buying are increasingly turning to organic products. A study carried out in November 2017 by the French agency for the development and promotion of organic agriculture (L’Agence Bio) showed that 82% of people polled trusted organic products. The reasons given include health (69%), the environment (61%), and quality and taste (60%). This trend has grown very rapidly and has now impacted people’s eating habits. Large and medium-sized retailers are tailoring their ranges, and specialist stores are proliferating. However, consumers who eat organically at home are setting a new agenda: they want to have the option to eat organic products outside the home (at school, at work, and in restaurants, hotels and hospitals, etc.). The organic market represents a prime opportunity to help catering professionals better respond to customer needs. Fruit and vegetables, dairy products, eggs and groceries are top of the organic food shopping list. Meals are changing in the home, and so are breakfasts, with the craze for organic jams. Delicatessens and small hotels have been offering them for several years. High-end hotels in France and internationally, and holiday destinations, especially in more unusual settings (traditional caravans, yurts, cabins, boats, etc. ), are now following suit and expanding their range of services to include organic products. They can no longer ignore the expectations of certain customers. Andrésy Confitures, which has been committed to environmentally friendly practices for over sixty years, has drafted a Social and Environmental Responsibility (SER) policy, which is continuously updated. It is therefore entirely consistent that it should have an interest in organic products. 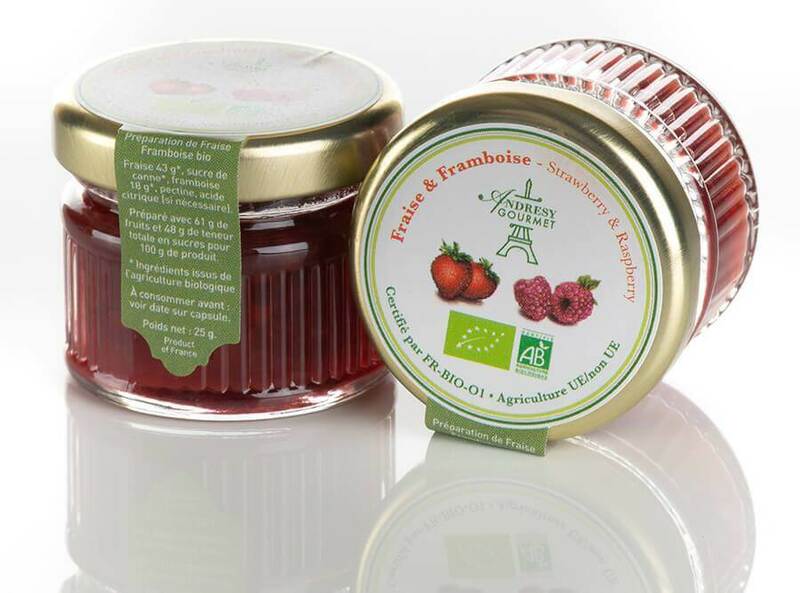 The jam manufacturer has developed organic jams and premium organic jams for its customers. These recipes require them to work with the very best French and European organic fruit growers. It is still difficult to source raw ingredients exclusively in France as not enough land is farmed organically, and quality across different farms is still regrettably uneven. Although fruit growing is developing, making the transition from a traditional farm to a certified organic farm is a lengthy process. It takes three years and requires substantial investment during the transitional period, as falling yields mean loss of revenue and certification is expensive. All of these factors add to the high cost of French organic fruit, and demand a great deal of patience! Andrésy rigorously selects ECOCERT suppliers and farmers who use eco-responsible methods, comply with regulations, and are committed to producing healthy, high-quality products to protect people and the environment. 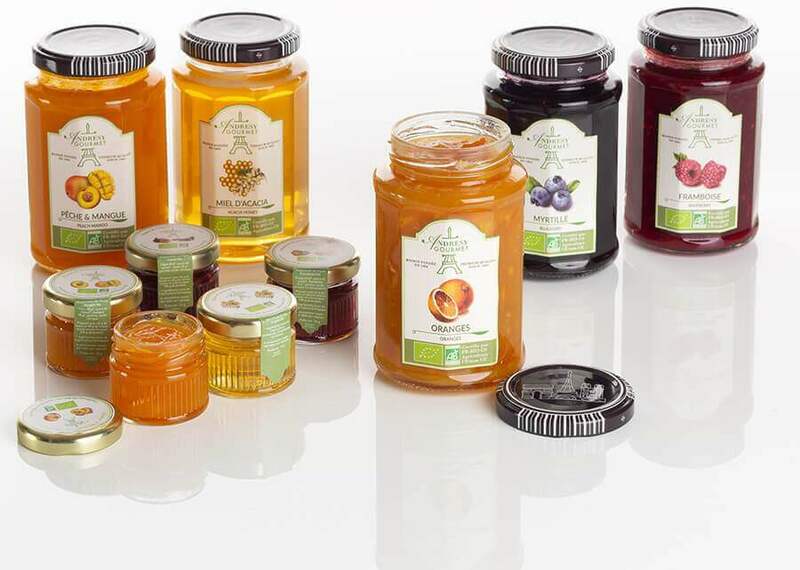 The jam manufacturer does not deviate from its exacting standards: flavoursome fruit harvested at peak ripeness. In the organic jam sector, traditional flavours have deep roots. Consumers prefer single-fruit recipes such as apricot, strawberry, and orange, which are the top three flavours in France and on the export market. The organic Andrésy Gourmet range offers these three best-sellers, but adds new flavours and subtle fruit combinations: blueberry, raspberry, two-fruit apricot-orange, fig-blackcurrant, strawberry-raspberry, and peach-mango jams, as well as organic honey. There are small 28g jars designed for breakfast and room service in 4 and 5-star hotels, and 300g jars for buffets and delicatessens, which want to stand out from the crowd and tempt their customers with a hint of originality.